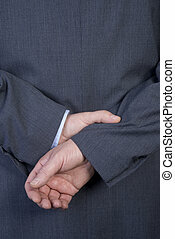 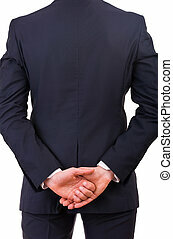 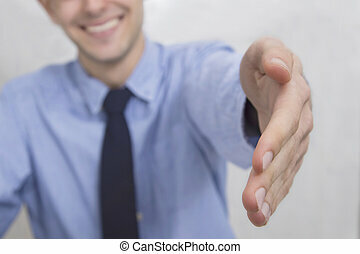 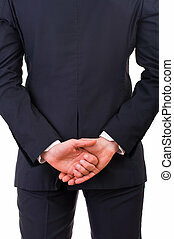 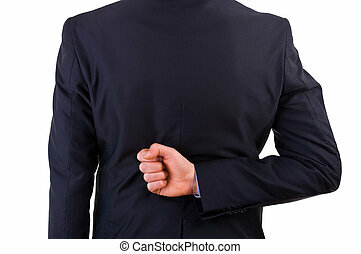 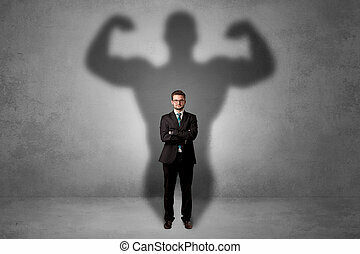 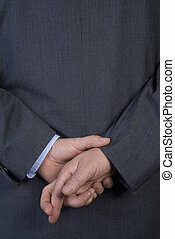 Businessman with his hand behind his back. 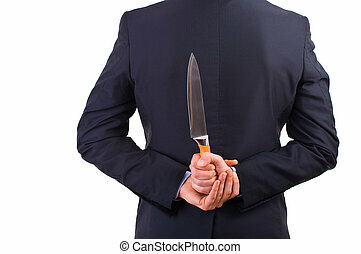 Close up of a businessman with a knife behind his back. 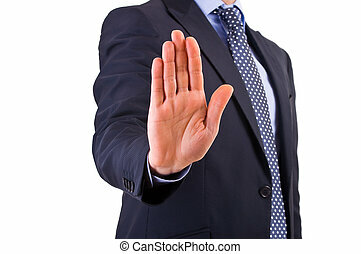 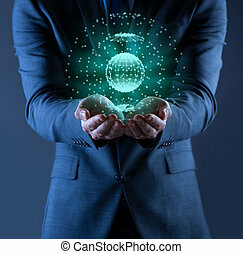 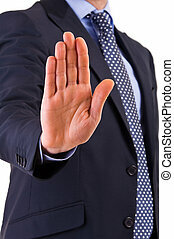 Businessman indicating stop with his hand. 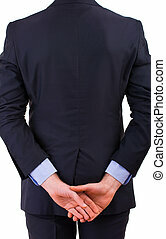 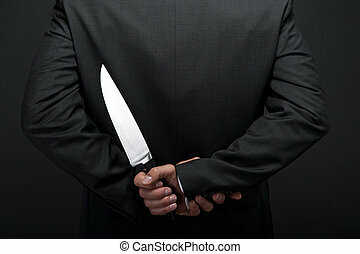 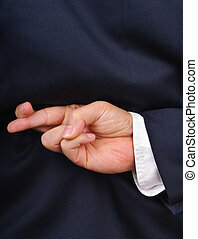 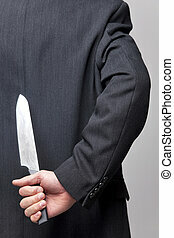 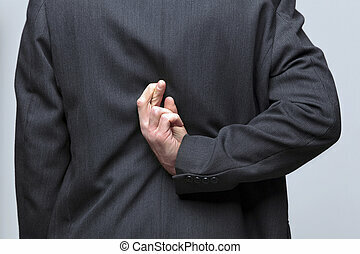 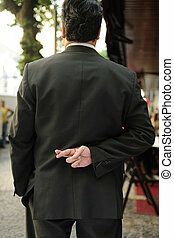 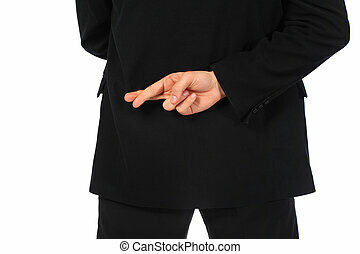 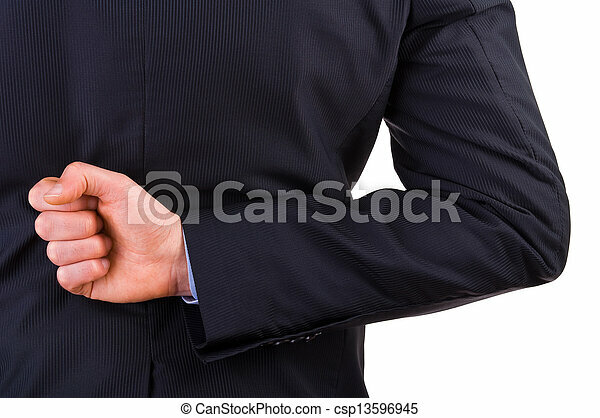 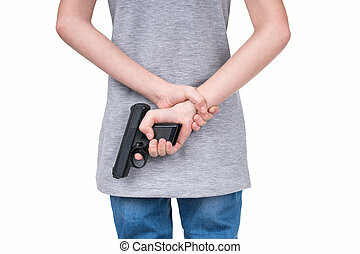 Businessman holding knife behind his back. 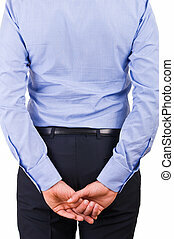 Businessman holding toilet paper behind his back. 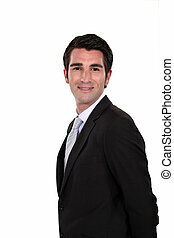 Businessman holding crushed bottle behind his back. 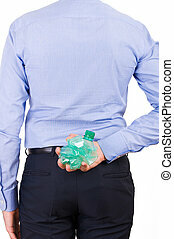 Businessman holding green bottle behind his back. 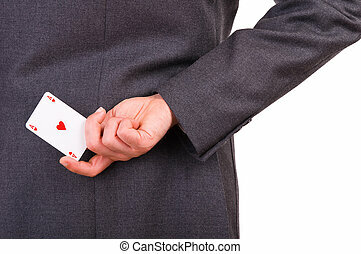 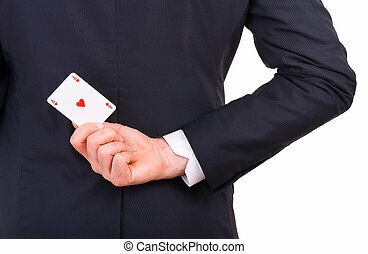 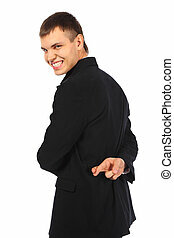 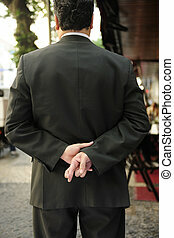 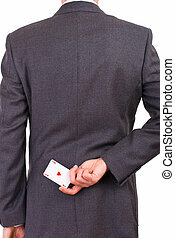 Businessman holding playing card behind his back.